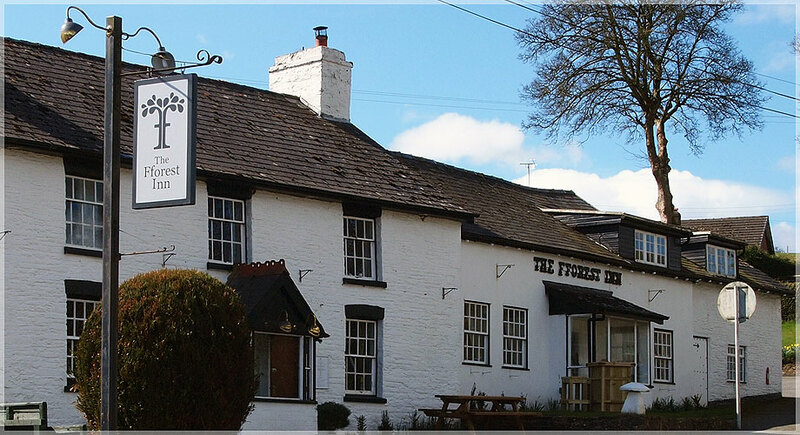 The Blue Bell Inn at Llangurig is a listed 16th Century building which retains many of its original features and is unusual in that it is run by local people – Liz and Dewi – who enjoy good local support. Although it is a very pubby pub (pool, darts, dominoes, cards etc) with traditionally furnished bar, flagstone floor, ciders and real ales, it also has a cosy little restaurant to retreat into with reasonably priced food and a selection of fine wines. The eight comfortable letting rooms above are mostly ensuite, and all have the their own tea/coffee/radio/television etc. Situated amongst the beautiful rolling hills of Plynlimon in the centre of Wales, Llangurig is the first village located along on the banks of the River Wye, some 10 miles from its source. Llangurig is reputed to be the highest village in Wales at an altitude of 1,000 feet! The small village also boasts a 15th century church which is well worth a quick visit if you take a stroll out and about during the evening. There is also a small village shop where those riders wishing to replenish snacks and supplies can top up their saddlebags. Don’t forget a pack of Polo mints for your trusty Freerein steeds to share! Freerein horses stay very close by for the evening. Please note that it is only possible to stay at the Blue Bell Inn if you are riding the Trans Cambrian North either Guided or Self Guided or if you are riding The UK’s Longest Trail Ride. Sleep well here. If you are riding the Trans Cambrian North then the next day you will spend finding your way through the Hafren Forest before emerging onto the wilds of Plynlimon as you head towards the lonley Star Inn at Dylife.